Portugal is a country full of pastry shops and every city has at least one or two that they can be proud of. Each region has its confectionery and each recipe has its secrets and history. The tradition of sweeting up the mouth has started in the convents and its monks and nuns, whose names are not known, are the ones who created the confectionery that nowadays is served in the Portuguese cafes and pastry shops. 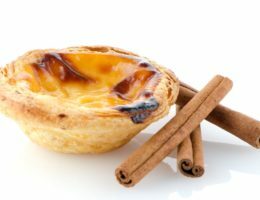 The list is lengthy, but on the top of it is the Pastel de Belém, whose recipe started to be commercialised in the first half of the 19th century during the Liberal Wars and the temporary closing of convents. 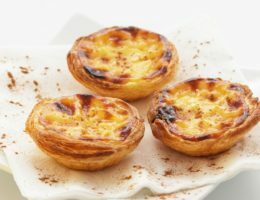 Made of eggs and puff pastry and served with sprinkled cinnamon, its success was such that in Lisbon people go to Belém just to taste these little tarts from the Fábrica de Pastéis de Belém. 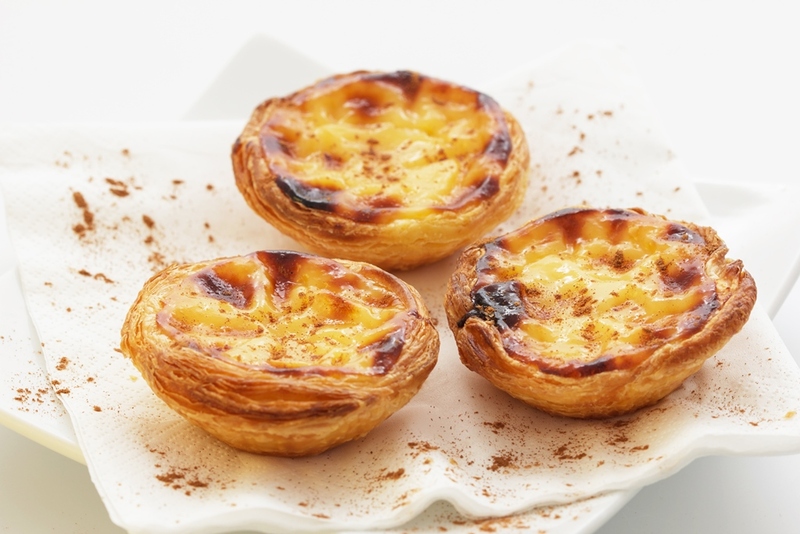 The original recipe remains secret, but the Portuguese found a way to turn the mystery around and created the “Pastel de Nata”. The close cousin of the “Pastel de Belém” may not have its charm, but it is successful and can be found in any pastry shop anywhere in the country. Eggs and sugar are also the main ingredients of Encharcadas from the Convent of Santa Clara, very probably being the most known sweet of the convent recipes in Alentejo. 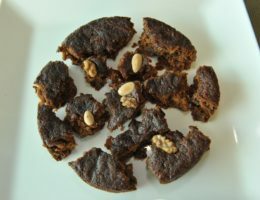 The recipe was created in Évora and may have some variations whether being tasted in Beja or Mourão. Going south, in Algarve, “Dom Rodrigo” is king, being made out of egg threads and wrapped in coloured paper. According to the legend, this sweet got its name from the friar who created the recipe and who added almonds, additionally to the eggs. Whether this is true or not, the fact is that travelling to Algarve and not eating a Dom Rodrigo equals to miss part of what the region has to offer. It is the same as going to Madeira and not trying the honey cake. 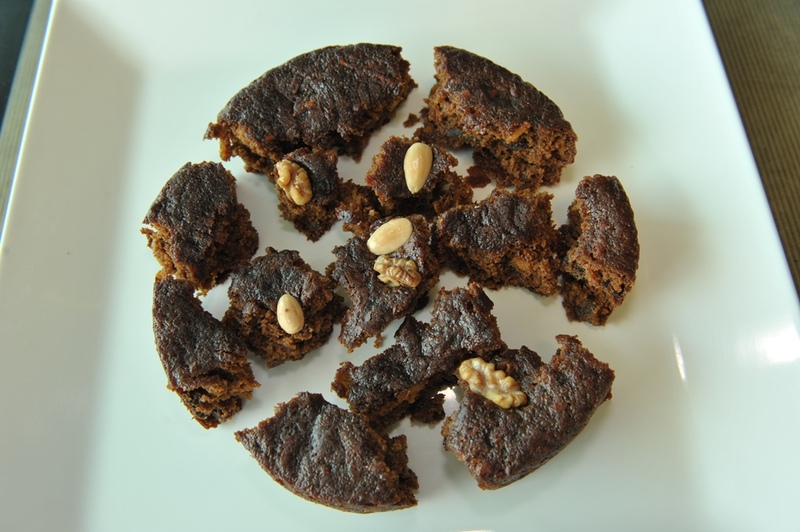 Made with sugarcane syrup, Madeira wine, spices and dried fruits, the Honey Cake dates back to the beginning of the populating and to the apogee of the sugar cycle in Madeira. Today it is sold all year round in pastry shops, but traditionally it is a Christmas sweet, made at home and to last up to the next Christmas. An important detail is when cutting the cake, as it should be done with the hands instead of using a knife as its flavour might change. The recipe of the confectionery made with egg yolks and sugar was born in the convents of Aveiro and since the Linha do Norte is working there are women selling Ovos Moles in Aveiro station. This delicacy is usually sold inside wooden containers painted with images allusive to the Ria of Aveiro (such as the “moliceiro” boats) or inside a communion waffle in the form of various motives, also allusive to the lagoon, such as clams and shells. These are one of the most popular sweets in Portugal, there are secret tricks to make it properly and the mixture can’t be stirred in a circular motion. The Pastéis de Tentúgal are also a creation of the Carmelites nuns from an existent convent in Tentúgal village. The recipe passed through, and stayed, in the same family and nowadays the production of this sweet is the main employer of the village. The secret lies in the thin and crisp puff pastry, in the flour and in the egg’s quality and even in the atmospheric conditions. 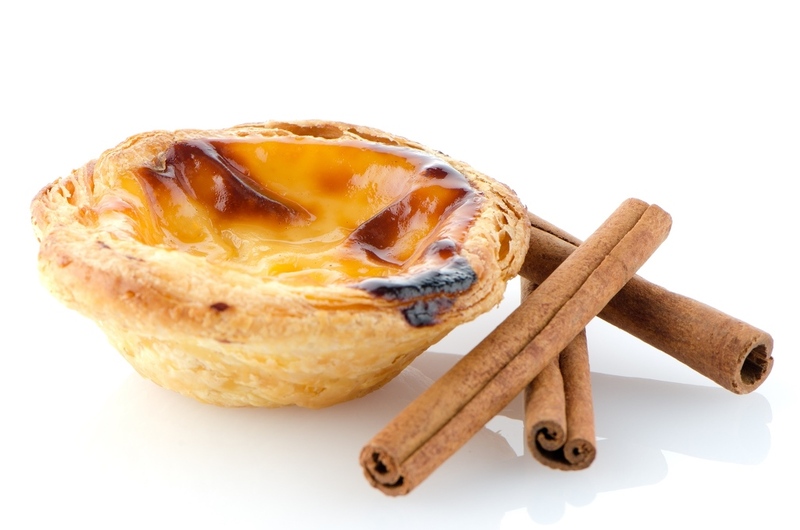 This delicacy was very popular amongst the professors from University of Coimbra, who spread the word about it. In Braga, the Pudim Abade de Priscos has its origin in a religious man, the abbot from Priscos. 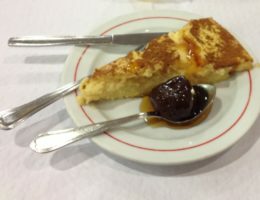 Some of the ingredients of this pudding are eggs, sugar, lemon rind, cinnamon, bacon and also a stemmed glass of Porto wine. Made in a brass or copper pot, it boils for 30 minutes in a double boiler and it is served cold. Sericaia is a delicacy from Alentejo, created by the nuns of the convents of Elvas and Vila Viçosa. Its recipe includes egg yolks, sugar, cinnamon, lemon, flour and milk and it goes into the oven. 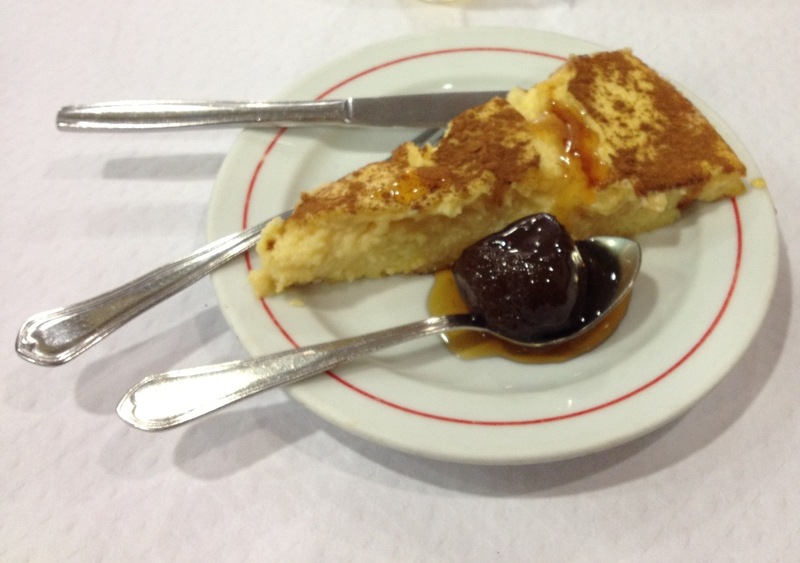 The Alentejo “Sericaia” has a secret: it should be served with the famous Elvas plums. These plums in sugar syrup are a specialty of this region and are unique.